"Can I have a copy?" "Sure, wait a moment....done! [eject] I'll pass that floppy disk onto your table." "Got it. I also need that other file." "Oh, well. It is too large. >7 MB!" How was this situation dealt with decades ago? I remember in extreme cases splitting a large file, and using a single floppy shuttled back and forth to get all the parts across to another computer! As others have mentioned, micro computer users could also have transferred files over null-modem serial or parallel cables, using tools such as LapLink or uucp, and some could have used their network (which was probably more common in schools and universities than in offices until the 90s). As well as splitting across multiple floppy disks, there were several cabled communication options available ranging from your basic serial cables and sending data over via X/Y/ZMODEM or Kermit, but there was also specialized parallel cables (like printer cables) that could be used that facilitated even faster transfers. I think "LapLink" was a such a product (I never used it), typically employed to transfer large files and programs to lap tops and other portable computers. Apple also had it's Appletalk network fairly early (mid-80s) to enable file transfers as well. 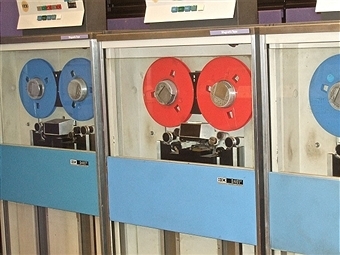 Obviously outside of PCs, tapes where often used. In the Alpha Micro world, they had the ability to transfer data using an off the shelf VCR and VHS tapes. It was certainly some time before ubiquitous networking was in place. I didn't have networking at our offices until the early 90's. 40 years ago - 1978 - there was no home/hobbyist/small office computing to speak of. Maybe a few hundred people altogether. So you must be talking about commercial/industrial computing. Do have a 7 MiB file, you would need a HD at least that size. In reality even a manyfold thereof, as usually one won't have a HD with just one file. Now, 40 years ago, that would be the end of the 70s (1978). If at all, SOHO users would have a disk drive. And while HDs where already available, one would rather invest in a second or third FD than putting up the same amount of cash as a small car to get a HD. In that time-frame a professional disk drive was good for anywhere between 200 and 600 KiB So a 5 MiB HD was barely more than a dozen floppies. Again, not worth it. The situation stayed the same throughout the majority of the 80s. Hard disks where only available at high end machines out of reach for most users. Also Floppies reached 600 to 800 KiB. Quite a lot. Keep in mind that back then most applications didn't store a lot of meta data, and if at all, they did it in rather efficient way. So instead of adding like up to 300 bytes to a text file for making one word underlined in MS-Word, WordStar just added two bytes (well, 7 in some cases). Thus text files didn't require much more space than the amount of letters typed. Just an example, on mainframe system I worked on in the first half of the 1980 got all databases stored on two 144 MiB drives (plus another for the OS). That was the only IT system for a company with about 1500 employees and storing next to everything on these two disks. In the micro range the need for archives spread out over multiple floppies didn't emerge before the late 80s/early 90s, when average HD size grew beyond 40 MiB and more important data processed moved away from simple text and numbers to more complex objects that could produce files in the MiB range. And users growing into this range didn't use floppies for data exchange. The mid 80s to late 90s were the heydays of changeable hard disks (Syquest et al) and more important QIC streamer. I still remember, when I ordered a first 486 (with a 170 MiB ESDI) or later a dual Pentium II, I took care to include a QIC streamer for backup and data exchange. Many may also remember the surge for ZIP drives during the late 90s, for exactly the same reason: Data exchange and backup. This is also the idea where SuperDisk / LS 120 originated. A way to exchange larger fines in a floppy like format. They did get some foothold, but where ultimately killed by a throw away solution, the writable CD. Cheap drive and dirt cheap media. Your timescales are out. Floppies might have just existed 40 years ago, but your average office worker never saw one. More to the point, office workers didn't pass machine-readable data around the office to each other, the only equipment they had that could read the data was a shared mainframe, so they would both access the same copy. From Gio Wiederhold, Database Design, ISBN 0-07070130 (1977): "Disk drives are now available which can contain 200M characters per pack"; cost was quoted as $600 per million characters; transfer rate was quoted as 312K characters per second. So 7Mb of data required a $4.2K investment (which was about a year's salary); at that level, you don't make multiple copies without a very good reason. 7Mb in those days was vast. Who needs that much? You can store the entire works of Shakespeare in 5Mb. 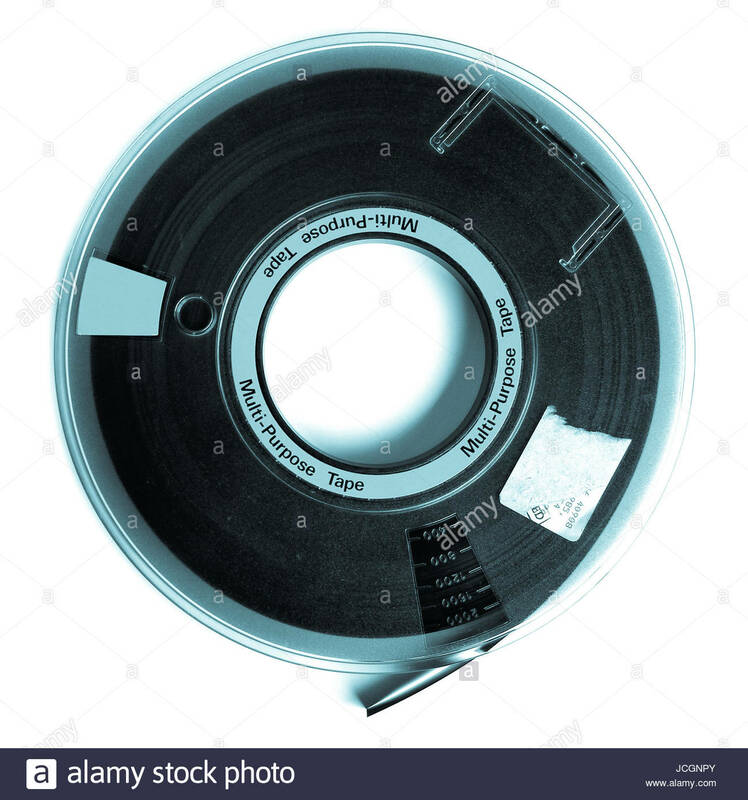 Using a Unix or variant, we used cpio, which would detect end of media (tape or floppy) and prompt to replace and continue onto (or from) another volume. The media was just treated as a sequence of blocks of data. If using MSDOS, there was BACKUP and RESTORE commands that spanned floppies but I’m not sure if they were in DOS exactly 40 years ago. 40 years takes us back to the dawn of "Personal Computing". In June 1978 Apple released the Disk II for its Apple II computer. It was based on the Shugart SA-400, the first widely available 5.25" drive. Prior to that there were only 8" floppy drives. That would take up quite a bit of desk space. There weren't many files larger than a disk at that time because they all had to fit on a floppy disk. Hard drives were only used by large businesses. They would use big bulky and slow tape drives to move the large files. Later on in the 90s things changed and files had gotten bigger. To get around the size problem we would use file splitters to spread it out over a bunch of disks. I used pkzip to 'span' disks a few times. Usually one of the disks would go bad of course, so we had to account for that. Often times we would just connect another hard drive. In the 90s they were usually 40-pin IDE drives and we would connect one to the secondary IDE channel and it would dangle there while the files were copied over. In the unlucky event that there was only 1 IDE channel we would have to connect it as a slave drive and hope the two drives played nice together. Sometimes they didn't. In the late 90s and early 2000s there were higher density floppy formats becoming available such as the Zip, Jaz, and SuperDisk but they weren't very common because the disks and drives were fairly expensive. There were also some weird removable hard drives just before USB came out. I remember using one that got power through the keyboard cable and communicated through the PS/2 mouse port or LPT printer port or something like that. I can't remember exactly. It had pass through connectors on it and little 2" hard disks that would go in somewhat like a floppy disk. It was WEIRD. 7MB? What an unwieldy thing in an era when RAM was 4-64kB (not hard limits, just a sampling of values). Other answers have not touched on acoustic coupling modems and BBSs, which were methods of file transfer in the late '70s. (How could you make an acoustic coupler have dimensions fitting all shapes and sizes of phone? It's easier when there's a model of phone and it comes from the phone company.) 7MB would still have been quite challenging at 150 to 1200 baud (bits per second), taking 13-100 hours -- most BBSs implemented time limits because they only had one or a handful of phone lines. It sounds like in your example each worker has his own computer. So your question is not about how data was transfered between minicomputers. Forty years ago the problem you describe simply did not arise for personal computer users, indeed it could not arise. Assuming that in 1978 you could even find an office with two ("TWO! Did you hear they have TWO!") personal computers in it, floppy disks (or cassette tapes) would be the only persistent storage medium. If you wanted to transfer a file, you would take the disk out of one computer and put it into the other. In 1978 a 70KB file would be considered enormous. If you were to start talking about 7MB files people would laugh indulgently. That's over 1500 single-spaced typed pages. Are you going to type all that in? What are you going to do with it once you have it saved on a couple dozen floppies? There just weren't the opportunities to create big files which we have today. Personal computers which could display photographs, play recorded audio, and play even tiny grainy videos are still more than a decade in the future. Nor could a personal computer even store such a file. You would have to wait until at least 1981 to buy a hard disk for a personal computer which could store even one such file (the Shugart ST-412). You question is rooted in the modern computing world in which computers have huge internal storage and removable media is comparatively small. In 1978 they had no persistent internal storage. If you went back in time to 1978 and asked how to "transfer a file too big to fit on a floppy disk from one computer to another" people would assume you were confused and start giving you a lesson in how computers work. They would explain that data is not stored long-term inside the computer, it is stored on a floppy disk. Well, there were the floppies, 9 track tape to backup data sets but you still needed the mainframe/mini folks to help you out. 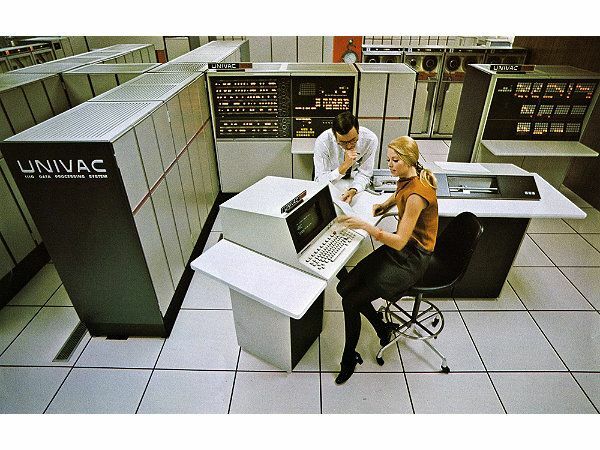 The source of "big" data in those days was the mainframe computer centres. Most personal computers weren't personal yet ( unless home computers) business/government micro computers were mostly few and shared by the team I would have the most hours per week in the computer room ( sign the logbook ). Few IT support people as typical now. The user was usually self supporting in small units. The lids of the micros I supported/operated were always loose ( or only a single screw )( once a few harddisk drives were available ) I'd slid the lid off, pull a hard drive from one computer and walk to the other and reinstall it - usually a smaller HDD 10MB your big storage might be a 30MB HDD - Ashton-Tate/Borland dBase as the database engine. There would be a drawer with bare HDD each used for a different database/project or software application sometimes bootable. ( I might even pull the math coprocessor/RAM/or a hardware interface card to move some device from one micro to another ) Tape/cartridge tape drives ( ostensibly for backup restore ) and things like SyQuest, optical laser disk drives Corel SCSI. ( SCSI was a big thing. ) There were the precursors of the laptop the luggable micro ( that might have an early LED amber/white or green monochrome display ) that you could carry from one desk to another or if with a good back even strive to take home for the weekend. Go to a university library and somewhere in the stacks are the back issues of the computer magazines of that era PC Magazine/Byte look through the lavish ads - one of my bigger expenses was buying computer magazines in the pre BBS and internet years, and dozens of thick computer programming books - you carried books when commuting not laptops, and paper notebooks for your "offline" coding, or the green banded fanfold print out. Your dotmatrix printer, manila folder and file cabinet was a storage medium as well. Not the answer you're looking for? Browse other questions tagged floppy-disk storage data-transfer or ask your own question.